The Sreenidhi Institute of Science and Technology (SNIST) is an Indian technical institute located in Hyderabad, Andhra Pradesh. 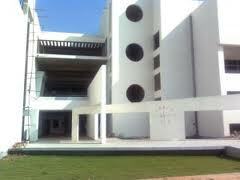 It was affiliated to the Jawaharlal Nehru Technological University, Hyderabad till 2009, From 2010 forward the institution attained autonomous status and it is the first college under JNTUH . The fee structure is decided by the Govt. 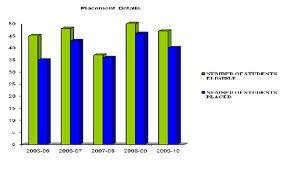 of Andhra Pradesh from time to time which includes tuition fee and development fee payable by the candidates. The details of existing fees structure for the year 2001-2002 is given below. Both tuition fee and development fee are payable by the students annually. Campus:Sreenidhi is dedicated for transforming the boys and girls into highly competent engineers with high level of motivation, professional skills and self-confidence. We inculcate in them Effective Communication Skills, ability to work in a team and to lead a team for achieving excellent results in their professional pursuits. Training students to acquire the ability to go into detailsInculcate in them a sense of responsibility towards society at large.Sensitize them towards moral and ethical values to make them responsible citizens. The SNIST Library System consists of a Central Library with 17 departmental Libraries and one City Centre Library which collectively support the teaching, research and extension programmes of the Institute. All students, faculty members and employees of the Institute are entitled to make use of the Library facilities on taking library membership. The Library, besides having 85,000 thousands huge collection of books on engineering, science and humanities offers library services through its various divisions. Initially setup in 1997, the Central Library will move to its new building in the middle of 2010. To make the Sreenidhi Institute of Science& Technology Library a 21st Century Knowledge Centre and to facilitate the transition of today’s engineering society to a knowledge base society of tomorrow, the knowledge generated by the faculty and students of SNIST has been digitized and made accessible through Intranet or Internet. Along with the automation of library services, we have move towards the digitization of library resources, so that the services of Virtual Library and Knowledge Centre may be provided parallel with the Traditional Library. Hostel: Sreenidhi provides excellent hostel facilities for students (Boys and Girls) in Ghatkesar, which is about 4.5 kms from the college. Transportation from hostel to college and back is provided. The hostel facilities are of high quality and well equipped. it can accommodate 200 students. Members of the teaching staff are appointed as Resident Tutors in the hostel. The rooms provide most modern facilities and privacy . The hostel has mess facility for students. The mess is highly hygienic and elegant. All students are given four seater rooms and each student is provided with a cot with mattress, a study table,a chair in their respective rooms with two attached bathrooms. Each room is provided with two ceiling fans. Cultural festival : The college will provide information to its Alumni from time to time on this website. This will help them to attend Cultural Festivals organized by the college, if they wish to attend and enjoy.